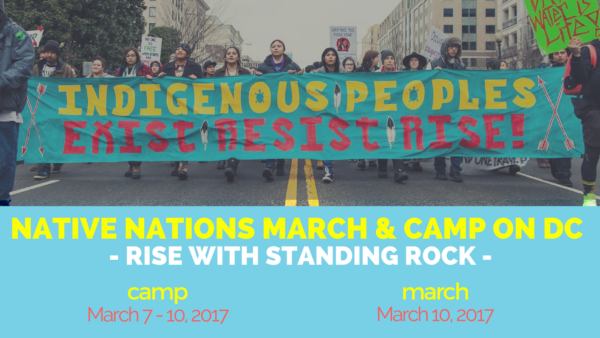 On Friday, March 10, the Standing Rock Sioux tribe will march with indigenous people and allies to oppose DAPL’s continued aggression on tribal nations and stand in solidarity with all Native Nations to protect their sovereignty. Who: Standing Rock Sioux Tribe, grassroots allies, and tribal nations from across the United States. Featuring: Chairman Dave Archambault II, MN Rep. Peggy Flanagan, Taboo, and many more speakers and performers. Starting Tuesday, March 7, Native American tribes from across the country will convene events throughout the city leading up to the march. An encampment will be built on the National Mall (no overnight camping allowed). 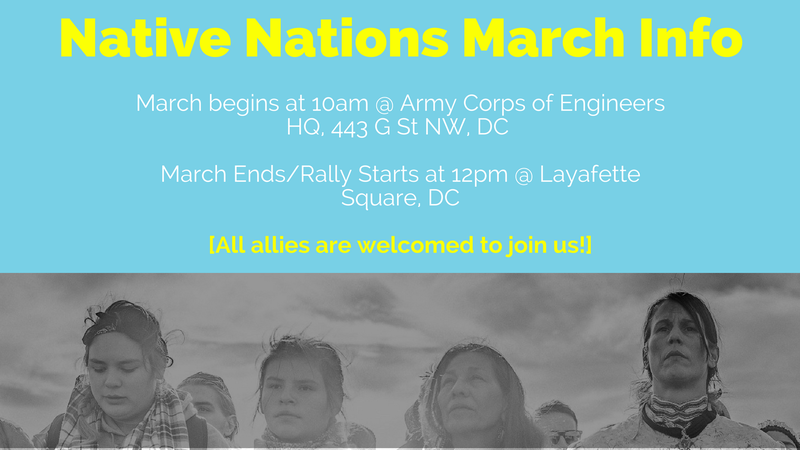 Where: The march will start at the Army Corps of Engineers Office, 441 G St NW, Washington, DC20314 and culminate in a rally at Lafayette Square. 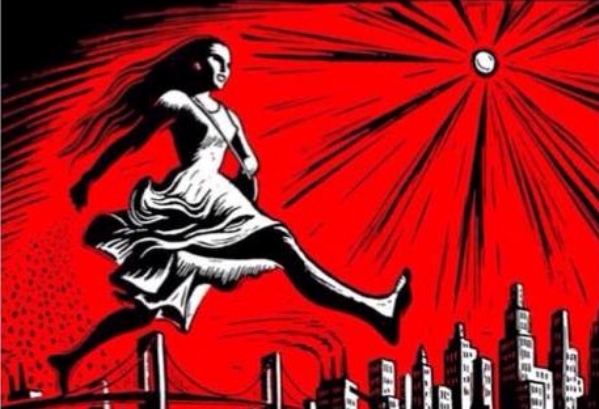 Responses to "NoDAPL to the White House: Standing Rock Sioux Tribe to lead historic march on Washington"
Go for it you will win. You're on the right side of history. Prayers and songs to you all from Sparks NV.